A wedding anniversary is a major event in everyone’s life. For the same, it has to be celebrated in a proper manner. You have to prepare well in advance to ensure that you have a memorable wedding anniversary. • Well, usually your wife gets up early to prepare breakfast. This time, you have to do that for a change. Get up early.• Prepare a quick breakfast and serve her breakfast in bed. • If you are planning to prepare breakfast, then you need to plan out the menu and bring all the necessary things for cooking the special breakfast. Make sure that your wife doesn’t come to know about this. • However, if you are the kind of person who makes a mess of the kitchen whenever you cook something, it’s better to drop this idea as it will make her angry later when she sees the kitchen. • You can also call a cake delivery service in advance. The charm of roses is never going to be out of fashion. Order a bouquet of roses one day in advance and deliver them on the day of wedding anniversary right to the doorstep. She might say there was no need to waste money, but she will definitely love it. No woman has ever said roses made her unhappy. It is a romantic gesture and it always works like magic. If you have young children, then a romantic evening might not be possible; keeping that in mind, book a babysitter in advance. If you take the baby to the restaurant, the mood will be spoiled when the baby starts crying. Plan a candlelight dinner at the restaurant to show how much you appreciate her. Most importantly, take her to her favorite restaurant. 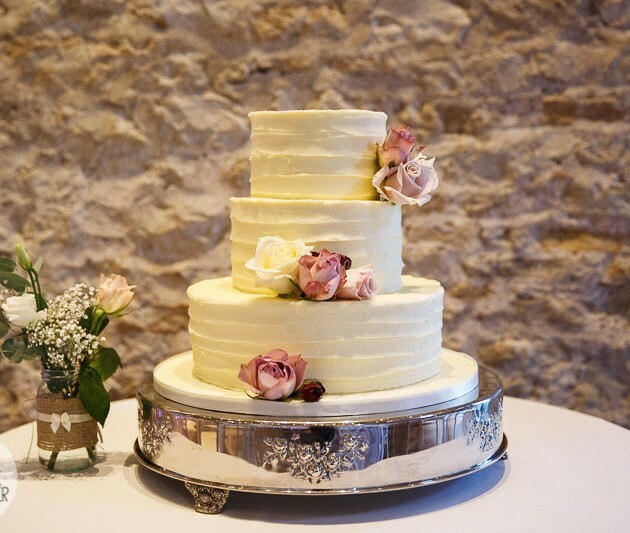 And celebrate your wedding anniversary with the best rustic wedding cakes. A wedding anniversary is a special occasion. You are supposed to take a break from your regular routine. Take one day off from work. You have to tell in advance at your office to get the break. But if you must work, make sure that you don’t make you wait for long. Show up early and plan a great evening in advance. When it comes to wedding anniversaries, it is important to make your wife happy. So, a thoughtful gift can make her quite happy. Keep her preferences in mind and go for something really unique. You should have a party for your 10th anniversary. You can have a party when you celebrate a decade. Invite the people who are closer to both of you. You can renew your wedding vows in the presence of the people who are close to you. You can also exchange a pair of wedding anniversary rings. Make it a grand party. You can commemorate the event by inviting the right kind of people.